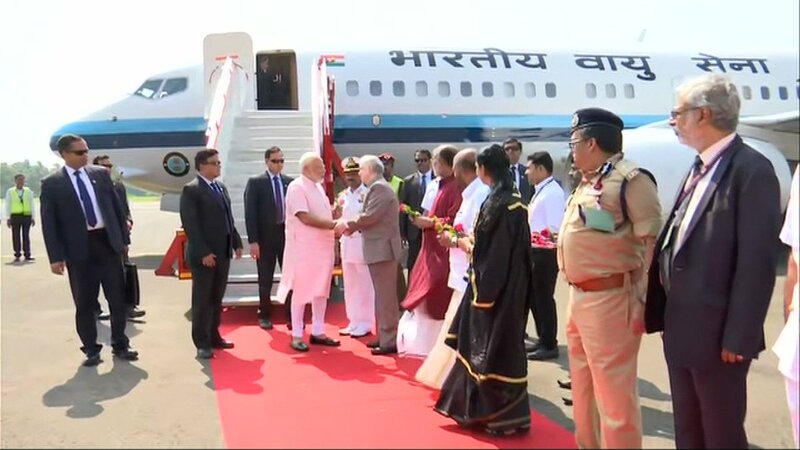 Prime Minister Narendra Modi is visiting Tamil Nadu and Kerala today. 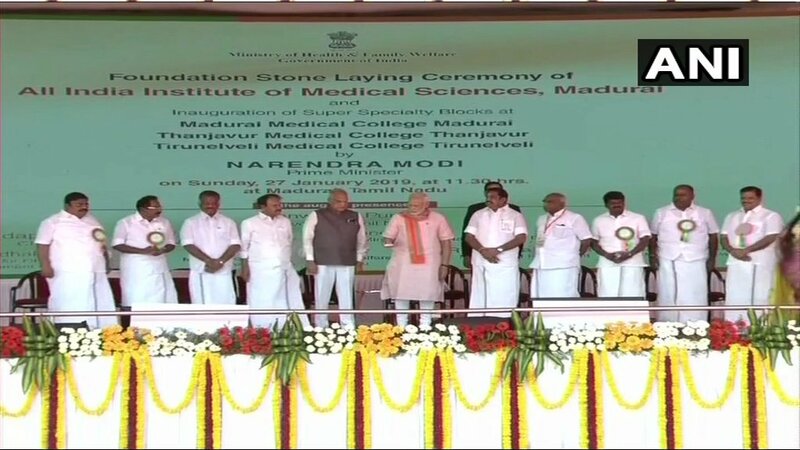 In Tamil Nadu, PM Modi laid the foundation stone for an All India Institute of Medical Sciences (AIIMS) in Madurai. PM Modi visited the Integrated Refinery Expansion Complex at Kochi's BPCL. Prime Minister Narendra Modi is visiting Tamil Nadu and Kerala today. In Tamil Nadu, PM Modi laid the foundation stone for an All India Institute of Medical Sciences (AIIMS) in Madurai. He also inaugurated super-speciality blocks at medical colleges in Rajaji, Thanjavur and Tirunelveli. PM Modi also addressed a public rally in Madurai. 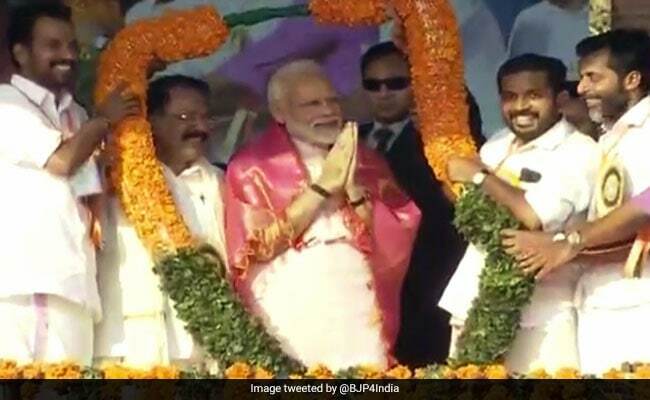 PM Modi's visit to Tamil Nadu was marred by a war of 'hashtags' on the micro-blogging site Twitter. #GoBackModi was trending on Twitter before his visit to the southern state. 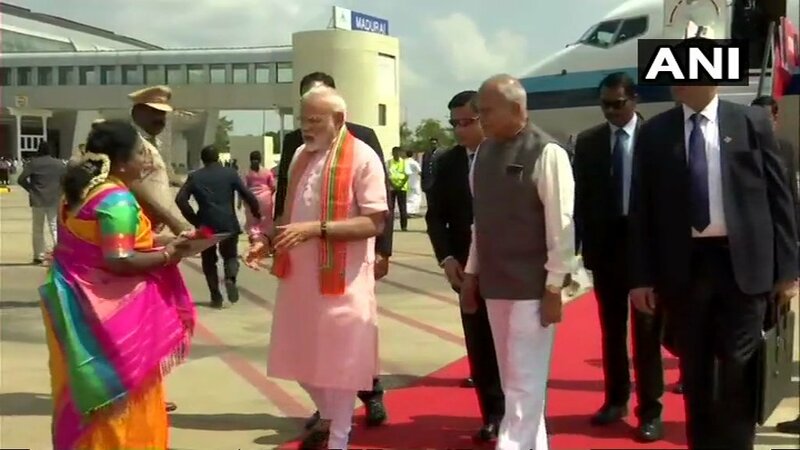 Thousands of other tweets, meanwhile, welcomed PM Modi to Madurai and thanked him for setting up AIIMS in the city. Hashtags like #MaduraiThanksModi and #TNWelcomesModi too were among the top trends on Twitter. In Kerala, PM Modi visited the Bharat Petroleum Corporation Limited in Kochi. 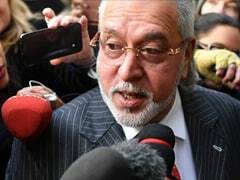 He will also visit the Indian Oil Corporation Limited. He will lay the foundation stone for skill development institute at Ettumanoor. It is an honour that our Government had the opportunity of conferring the a Padma Award on Nambi Narayanan. We value each and every person who is working to make India stronger. For them science can be abused as spying, for us science is a matter of national pride. For them solar was a means for a scam, for us solar is a means for a global alliance. They are also questioning the Election Commission. The entire nation was amused to see a press conference in London, where, on foreign soil India's democratic ethos was questioned. And, who was spotted in that press conference? A topmost Congress leader. Is this your respect towards institutions and our democracy? Is this what our politics has come to that now, you will even go on foreign soil to undermine the mandate of the people of India. Congress and Communists talking about democracy is the biggest joke! What is happening in parts of Kerala, where political workers are killed just because their ideology is different from the Communists. India's strength is India's democracy. 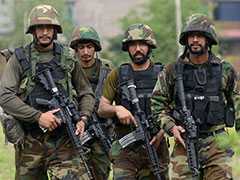 It is from our land that the ethos of democracy always stood strong. Elections will come and go, the nation will remain. Prime Minister Narendra Modi today mentioned the Sabarimala issue in his speech in Kerala's Thrissur. PM Modi blamed the Kerala government for "attacking" the cultural ethos of the southern state. "The people of India are seeing the manner in which the Communist Government of Kerala are disrespecting all aspects of Kerala's culture," he said. He accused the government of "undermining" culture and civilisation. "We have moved up from rank 142 to rank 77 in the ease of doing business rankings. India has gone ahead of China in getting FDI," PM Modi said in Kerala's Thrissur. "We're very close to our goal to provide a cooking gas connection to every home. Nearly 6 crore poor women have received free cooking gas connection. India's energy needs are growing and so we've sped development of oil and gas infrastructure," PM Modi said in Thrissur. PM Modi further praised BPCL Kochi Refinery for running against all odds last August, when Kerala was hit by devastating floods. In Kochi's Bharat Petroleum Corporation Limited, PM Modi praised the Indian refinery industry for making a mark for itself globally. 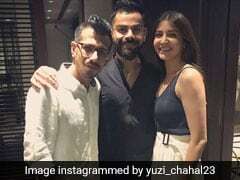 "India, which is second largest oil refinery in Asia, is emerging as a refinery hub with refining more than its demand," he said. 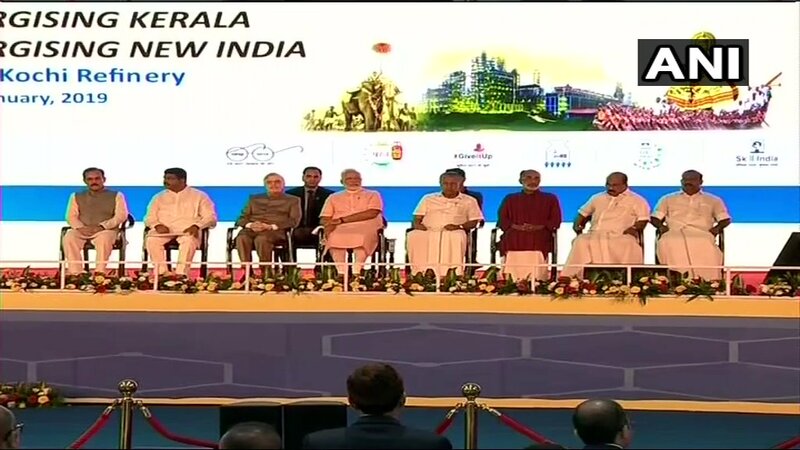 At Kochi BPCL's Integrated Refinery Expansion Complex, PM Modi was seen sharing the stage with Chief Minister Pinarayi Vijayan and Governor P Sathasivam. Prime Minister Narendra Modi arrived at Integrated Refinery Expansion Complex at BPCL in Kochi. 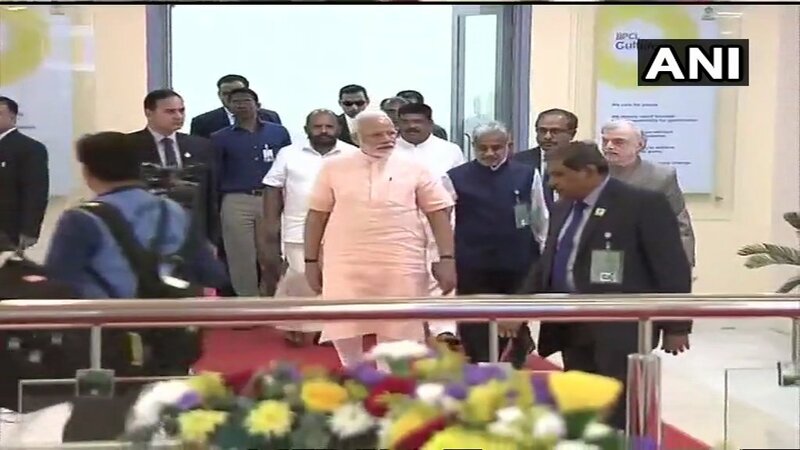 PM Narendra Modi arrived in Kerala's Kochi to dedicate Integrated Refinery Expansion Complex at Bharat Petroleum Corporation Limited to the nation today. On his arrival, PM Modi was received by Kerala Governor P Sathasivam. 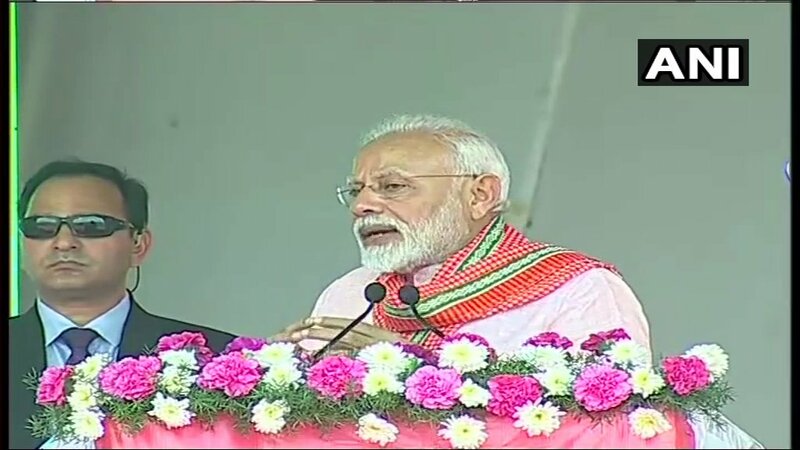 Prime Minister Narendra Modi today said that over 89,000 people in Tamil Nadu benefited from the Centre's Modicare health insurance scheme. 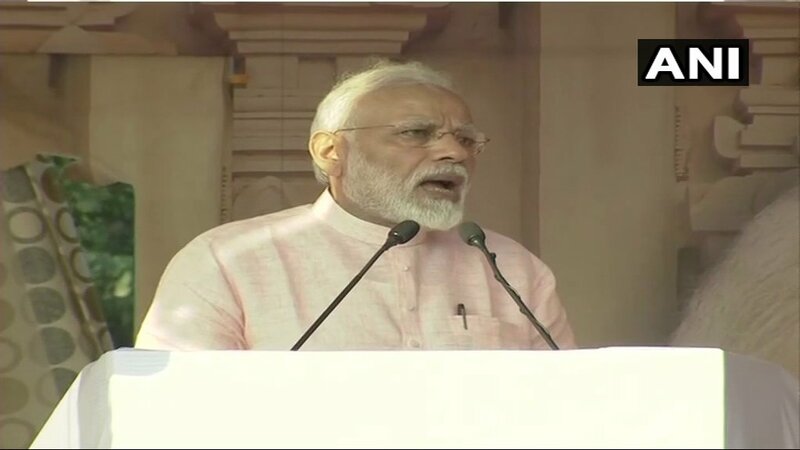 Addressing a public rally in Madurai, PM Modi said that about 1.57 crore people were under the Ayushman Bharat Yojana, or Modicare, in Tamil Nadu. He also said that a sum of Rs. 200 crore has been authorised towards their treatment expenditure. 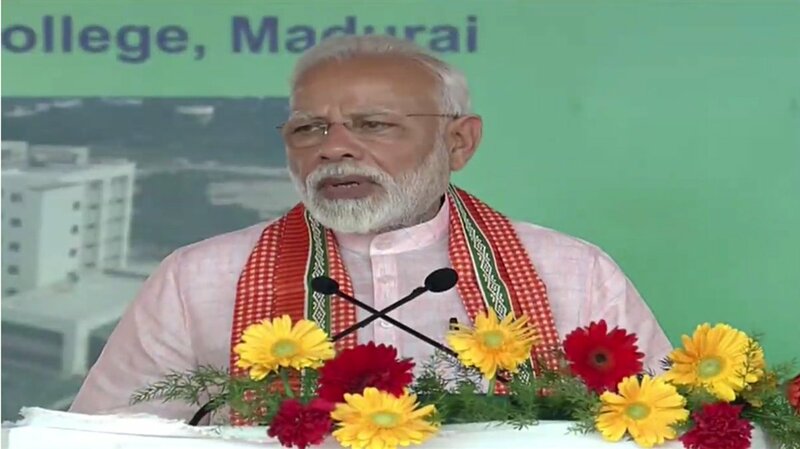 In his speech in Madurai, PM Modi took a swipe at the 'Mahagathbandhan', saying opposition parties set their differences aside to remove the "watchman". "They say that keeping aside all other considerations, they must unite to remove this watchman," PM Modi said. Addressing a public meeting in Madurai, PM Modi also credited Tamil Nadu for developing the first-high speed train, T-18, in India. The Train-18 is built by the Integral Coach Factory (ICF) in Chennai. Citing the new law to provide 10 per cent reservation in education and employment for the poor, PM Modi said that his government was committed providing employment opportunities and education to all segments of our society. "It was with this spirit that recently, we decided to provide 10 per cent reservation in education and government employment, to the poor among the General Category," he said. He added that the 10 per cent reservation will not affect existing quota for Dalits, tribals and others. Addressing a public rally in Madurai, PM Modi said Swachh Bharat, or the Clean India campaign, has become a "people's movement". 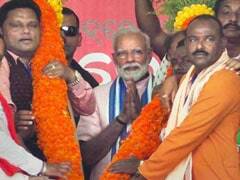 PM Modi claimed rural sanitation in India increased from 38 per cent in 2014 to 98 per cent today. "We have built more than 9 crore toilets in this period, out of which 47 Lakh have been made in Tamil Nadu alone," he said. In Madurai, PM Modi also dedicated 12 passport 'seva kendras'. "This initiative is one more example of improving the "ease of living" for our citizens," he said. The Madurai AIIMS was given union cabinet approval in December, 2018. When the Centre announced in its 2014-15 budget that new AIIMS would be set up in various parts of the country, late chief minister J Jayalalithaa had requested one such facility for Tamil Nadu. Following her plea, the Centre announced in the 2015-16 budget that an AIIMS would be set up in the state. After a prolonged process, the authorities zeroed in on the Thoppur near Madurai for locating the AIIMS. Chief Minister K Palaniswami thanked the PM Modi for providing the AIIMS facility to Tamil Nadu and urged upon the Centre to set up a medical college at the backward Ramanathapuram district. Deputy Chief Minister O Panneerselvam said AIIMS Madurai would greatly benefit the people of southern backward districts of Tamil Nadu, adding all necessary infrastructure will be developed in the region. The super speciality blocks at state-run medical colleges in Madurai, Thanjavur and Tirunelveli would have high-tech diagnostic equipment and facilities including Cath lab. The proposed 750-bed modern AIIMS in Madurai, on its completion, will also offer 100 MBBS seats. "It (AIIMS Madurai) will benefit the entire population of Tamil Nadu. The NDA government is giving great priority to the health sector so that everyone is healthy," PM Modi said. Prime Minister Narendra Modi laid the foundation stone for AIIMS Madurai. He also inaugurated super-speciality blocks at medical colleges in Rajaji, Thanjavur and Tirunelveli. Visuals from Madurai as PM Modi arrives at the Tamil Nadu town. 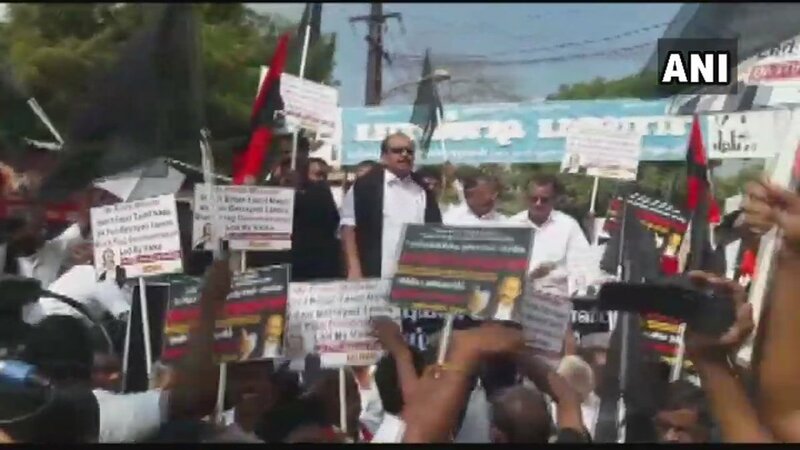 Marumalarchi Dravida Munnetra Kazhagam chief Vaiko leads protests in Tamil Nadu's Madurai ahead of PM Modi's visit. Releasing black balloons, the protesting party cadres raised slogans against PM Modi, alleging he betrayed the interests of Tamil Nadu on Cauvery and other issues. The MDMK cadres claimed that the Centre had accorded "permission to projects like neutrino and hydrocarbon extraction" which, according to them, would have an adverse impact on the livelihood of the farmers and also affect the common people. Prime Minister Narendra Modi, who will arrive in Kerala's Kochi later today, will dedicate Rs 16,504 crore to the southern state when he unveils an integrated Bharat Petroleum Corporation Limited (BPCL) refinery expansion complex. This will be the single-largest investment made by the prime minister in Kerala. PM Modi will address a public meeting in Mandela Nagar Ground in Madurai. 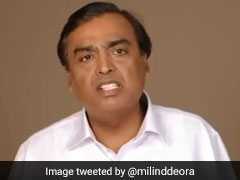 He will then go on to lay foundation stone of various projects at oil refineries in Kerala. PM Modi will then address a state meeting of Yuva Morcha in Thrissur. PM Modi will lay the foundation stone for an All India Institute of Medical Sciences (AIIMS) in Tamil Nadu's Madurai. The new AIIMS will cost Rs 1,264 crore and is expected to go on stream in 2022. Madurai's AIIMS will be a 750-bed hospital with a long-term focus on post graduate and higher education and research. It will have a capacity of 100 MBBS seats and 60 for B Sc (Nursing).